Maintaining comfortable body temperature is key to getting a good nights sleep. Through the summer months, this is a problem that can get progressively worse resulting in you tossing and turning all night trying to sleep. No matter if you're being kept awake by night sweats, insomnia, hot flushes, hot weather or illness, there are many solutions available, with one being a cooling pillow. Throughout this guide, we will take a look at the best cooling pillows and the characteristics you need to look for to ensure that you choose the most effective pillow. Regardless of your budget, there will be a cooling pillow that suits you. It can be challenging to make a decision when there is so much choice in the market especially if you aren't a pillow expert, but we've made it easy with the best cool pillow review! The Gel'O Cool Mat Pillow is the most cost-effective solution if you're continually overheating throughout the night, and especially if you want to avoid large electricity bills by using an air conditioning unit. The mat is placed on top of your existing pillow, which you then lie on to provides you with cold relief. If its too cold then you can put it inside the pillowcase. This means that you can continue to use your existing favourite pillow. The cool pillow pad needs to be put into the fridge or freezer to be used as a cool pack, but also can be used as a heat pack by placing it in the microwave, so it has a useful dual use. The material used for the mat is medical grade, so if you accidentally manage to tear it, the gel inside will not leak. 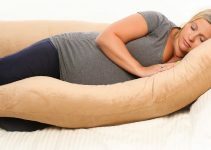 The mat is large sized (27cm x55cm), so it will have no issues covering most pillows, and the material is soft and conforms to the shape of your body providing you with the support that you need. The manufacturer is so sure of the effectiveness of the product that every order comes with a 1-year guarantee so in the unlikely event it develops a defect, you will be entitled to a replacement. When you use this pillow, you will no longer have to keep flipping your pillow over to the cooler side, because the cooling mat will provide you with all the relief that you need. Conveniently places over your existing pillow. This cooling pillow mat is extremely popular all over the country with users using it to soothe a range of issues from excessive sweating to menopause. It provides long-lasting relief which lasts for much of the night. The Augymer cooling mat makes hot nights more bearable and cooler. The pillow is constructed using a gel filing that cools when it comes into contact with your warm body. It is made from a premium safe gel and can either be placed directly on top of your pillow or inside the pillowcase. The mat itself is comfortable and soft so that you will sleep the same as usual. It is large so that it will fit most pillows, and the gel is durable and non-leak. Unlike pillows that are filled with water, this gel is much smoother which leads to a higher level of comfort. You don't need to worry about any gel leaking out and ruining your sheets and bed. The Augymer cooling pillow mat also includes a 30 day 100% money back guarantee if it doesn't improve your sleeping experience. The mat can be used to soothe a range of body issues such as migraines and hot flashes. The mat is fridge safe, so it can be placed inside to chill before use to bring the best level of comfort and relief. It can provide a cooling effect without doing this, but it is much more effective and long lasting when refrigerated. This cooling mat is handy for cooling the body when sleeping. The main reason why this hasn't been ranked number 1 is that although the reviews are incredibly positive, the overall amount is less than the Gel'O pillow. Products with more reviews are more reliable, but this is still a high quality stay cool pillow. The Saebye Gel Chill Pillow is not only an extremely comfortable pillow, but it also features a gel pad to keep you fresh throughout the hot periods of the night. Made from high-quality memory foam, it supports your head and neck by promoting a healthy sleeping position by aligning your spine. It provides the right level of firmness while also being extremely comfy. One side of the pillow is a memory foam surface, and the other is a gel layer, so if you feel hot in the middle of the night, you can flip it onto the gel side for instant relief from sweating or hot flashes. The pillow itself is hypoallergenic, so it is the most appropriate solution for allergy sufferers, while it is also resistant to mould, mildew, bacteria and dust mites which promotes a higher quality of sleep. Also included is a free premium super soft microfibre removable pillow cover that has been meticulously designed to promote efficient airflow and is easy to wash. This pillow is ideal no matter what issue you're suffering from whether you need a cooling pillow for night sweats to hot flushes. This cooling pillow is useful for keeping your body temperature at optimal levels which will promote a greater sleep quality, so you'll spend less time tossing and turning and more time is spent sleeping and resting. This product is grossly underpriced and could easily be double the price just because of the high-quality memory foam that is used, so is one of the best pillows that stays cold. Introducing the Active living cooling pillow that is made of memory foam but also has the cooling pad mat on the outer layer. This is ideal if you get hot and sweaty throughout the night. On the other side is regular memory foam so that you can alternate for the summer and winter. The cooling gel side draws heat away from your head and provides you with a cold sensation so you will feel the change. This product is especially ideal if you also need to change your pillow. Memory foam will provide you with additional support and comfort as it contours to the shape of your body. This can only improve the quality of your sleep, and memory foam is renowned for leaving users refreshed and revitalised when they wake in the morning. The additional support the memory foam provides can also help prevent neck pain from developing, and it can also help to heal existing pain issues. If the gel pad is too cold, you can place a pillow cover over the top or flip the pillow over. One side is cool, one memory foam. This is a useful pillow. However, the cooling pad isn't removable so you can't put it into the fridge to make it even cooler. The best results are felt when gel pads are refrigerated as the cooling effect is much longer lasting. Aside from that, it is a great product. If you watch much daytime television or shopping channels, you will be aware of JML, a manufacturer and retailer who are the company behind many products that are sold in stores and online and are responsible for millions of sales per year. They have extended their offering into a naturally cooling gel pillow. This Chillmax pillow has a gel material inside of the mat which works by transferring heat away from your body. The gel pillow mat can be either placed on top of your pillow, or it can go inside the pillowcase. The pillow can also be used as a mat or a cushion, and for a long-lasting cooling effect, it can be placed in the fridge. Because of the gel that is used, it's not like water mats that need refilling and is prone to leaking. It also has an easy to wipe design so it can be maintained for an extended length of time. The reason this isn't quite as high as competitor cooling mats is that users have reported that the cooling effect doesn't last quite as long and depending on how long you refrigerate it, it may lose its cooling effect before you wake in the morning. However, this has been reflected in its selling price. NASA developed memory foam for use by their space crew so they would have a more comfortable experience as memory foam is heat sensitive and contours to the shape of the user's body. It then can snap back into its original shape once you have finished using it. One of the downsides to memory foam is that traditionally it does not regulate temperature well which then leads to you feeling hot. However, a memory foam gel pillow has been developed with a built-in cooling gel pad which works to cool you down when you use it. A cooling gel pad mat is filled with a durable yet comfy gel which conforms to the shape of your body. The mat needs to be refrigerated or left in a cooler before use, and the gel pad will then last the whole night. The higher quality the gel pad, the longer it will stay at a cold temperature and the more effectively it will work. The great thing about cooling gel pads is that you can continue to use your existing comfy pillow without having to get used to a new pillow. You can place the cool pad on top. Water pillows are structured like traditional pillows, except they have a separate layer of water below the foam, down or microfibre layer. The water layer is covered with a thermal-shield which stops body heat from reaching the water layer. Water pillows are a more inferior version of the cool gel pad, as it can make noise when you move, because of this it is often more affordable. Some water pillows also include a gel pouch, which further improves the ability of the pillow to stay cool. This type of pillow is made using a combination of feathers which are soft and airy that gives them breathable characteristics, so air can freely pass in and out of the pillow to keep you cool. 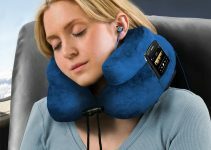 These pillows are often suitable for sleepers of all positions, and are generally long-lasting and provide excellent support to the neck and head. These pillows are often suitable for sleepers of all positions and are generally long-lasting and provide excellent support to the neck and head. There are several factors that you need to consider and be sure to take into account before you make a final purchasing decision. You need to be aware of how the cooling mechanism works for each pillow, which makes it cool and what the cooling material is. You shouldn't be satisfied because it says cooling in the description that it's suitable for you. Firmness shouldn't be overlooked at any stage. It might not seem as important as the cooling method, but it's still definitely something that you should make an effort to find out. Getting a pillow that suits your sleeping style is hugely important because there's no point buying a solution to keep you cool but then still being uncomfortable because your pillow doesn't provide the necessary support. If you sleep on your front, then a softer and thinner pillow would suit you the best. If you tend to sleep on your side, then a firmer higher elevated pillow would be most suitable to provide additional support with your upper back, neck and head. Back sleepers are in a lucky position because most pillows will be comfortable to sleep on so a medium firmness pillow would be best to choose. You should strongly consider the quality of the product that you plan to buy. You must look at this purchase as an investment as you are investing in your health and a good solution will not be cheap. On average you spend a 1/3 of your life asleep, so don't you think that it's worth it? The well-known brands within the bedding industry are yet to make a considerable mark in the cooling pillow market. So at first, you may feel overwhelmed with a large number of brands you may not recognise. To combat this, you must take advantage of the hundreds of reviews that each of these products has to help you make a final decision. The overall size of the pillow or mat is crucial. You need to ensure that you choose a pillow that will fit your bed and head comfortably so if you have a king size bed don't buy a mini size pillow. If you're buying a pillow mat then take note of the size measurements and be sure that it covers a large amount of the pillow surface, not just the central area. Following on from the last point, if a manufacturer truly believes in their product, it will often have a guarantee or warranty. This can range from a week trial guarantee to a multi-year warranty. This also gives you added peace of mind during the buying process. There are many additional products and methods that you can introduce to increase your efforts to stay cool during your sleep. An air conditioning unit is the number 1 solution if you're overheating and hot throughout the night. The unit works by absorbing the warm heat waves, and converting it into a cool wave and redirecting it back out of the unit, cooling the room. This is the most pricey solution, but if you're regularly being kept awake and feel hot, then this could be an instant effective solution. A fan is often the ideal solution if you feel hot throughout the night and should play a part in everyone's attempt to have a more refreshing experience. They are however more costly than a cooling pillow. You must also be sure to buy a silent fan, otherwise, you may still not be able to sleep. A cool mattress topper can replace your existing mattress topper or be placed directly on top of your current mattress. Cool mattress toppers have a breathable membrane that allows air to flow through it, so you stay cool throughout the whole night. If Air Conditioning units are a little too expensive for you, then you can try this creative method to create your makeshift air conditioner, and all you need is a fan and a bowl of ice. To start you fill a bowl with ice and place it in front of the fan. Then you switch the fan on, and this will create a light cool water mist that will flow around the room which will keep you cool. Of course, this doesn't last the whole night and isn't as effective as a traditional air conditioner unit, but it does provide some relief. This is another DIY method if you're caught out on a hot night with no solution. All you have to do is put your bed sheet covers into a plastic bag and put it into a fridge or freezer. It needs to be a bag that has a seal; otherwise, moisture will build-up on the sheets making it wet! Once cold enough remove and use. This method provides very short term relief but on a hot night it may be the difference between you sleeping or having a sleepless night. Now you have all the information you need to make a logical decision about which cool gel pillow is best, and you don't have to accept sweating throughout the night as now there are many solutions, not just cooling pillows, that you can try and effectively increase your sleep quality.